The Nature Explore Classroom at James R. Russell Child Development Center at Creighton University is the 1st Certified Nature Explore Classroom to be certified at a college or university in Omaha, NE. It is the 12th certified classroom in the state of Nebraska and the 42nd in the nation. Observing water as it flows over bricks; sitting in the shade of an apple tree, tracing a leaf; creating a masterpiece work of art from wooden blocks and sticks; following the path of an insect as it makes the long climb up the stalk of a plant; being able to flit like a butterfly from area to area throughout the day and embark on a new adventure in each. These and many more wonderful adventures are daily activities available to the children that attend James Russell Child Development Center. A long and narrow space with pieces of play equipment and a few existing trees has been turned into a beautiful, growing place where children learn and connect with nature on a daily basis. Pathways designed to wander through planted berms give children a “secret” path connecting one activity area to another. Wood is used in fencing, new equipment and many other elements in the classroom. Utilizing different types of wood provides a nice contrast in color and texture while giving the area continuity. Stone, grass, woodchips, tree cookies and brick provide a nice surface contrast in each of the areas. Plants were chosen for a variety of color, height, texture, and smell to help soften each area. Three raised, wooden planter boxes provide a place for children to participate in gardening and observing. 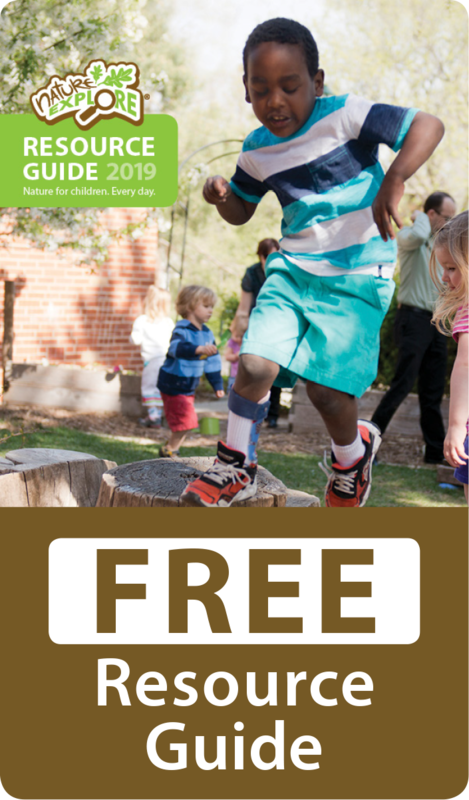 Summer events for families are organized that provide opportunities for parents and older/younger siblings to come play with their child in the Nature Explore Classroom. 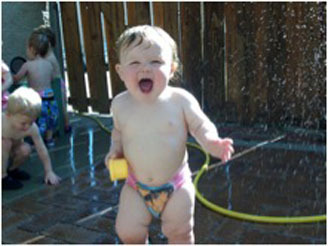 Families are able to choose the area and activities that they would like to participate in. Newsletters help to educate parents on the value of outdoor play in the classroom.